The database is available for various different platforms, and provides a RESTful JSON API, which makes it very easy to access basically from any programming languages. To make things even simpler, access libraries have emerged for various languages like PHP and Ruby. 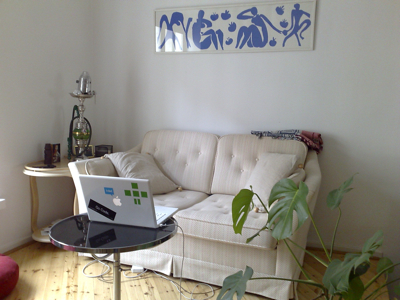 This weekend Jerry Jalava released a jQuery CouchDB access library. This is an important step for us as Midgard is already making the jQuery migration, and we are considering to use CouchDB for a project. 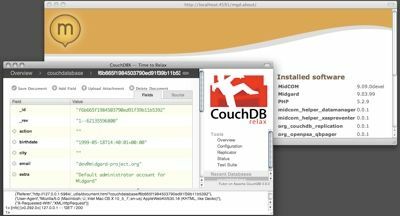 So, why CouchDb? First of all, it is something new and interesting. And it is multiplatform and replicated, meaning that we should be able to get our data everywhere, from a web server to Mac desktop to an Internet Tablet. Besides regular database usage, some of the PHP code deployment ideas are also promising.